Discover Our PC Security Package - Worth $29.95! Try Anonymeister TODAY - and you'll receive our PC Security Package, worth $29.95, FREE of charge! 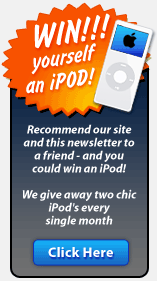 Read below to discover the four big bonuses included in this gift package. When you're finished, click the link at the bottom of the page to purchase. Alternatively, view Anonymeister side-by-side with rival products, or check out our screenshots. FULL version of Magic Backup! – Never lose your important documents ever again! Enjoy the full version of this powerful backup application. Backup to another computer, zip files, or e-mail. Magic! DISCOUNT on Internet History Cleaner! – Enjoy a massive bonus on the full retail version of the world's most powerful history cleaner. Retails at $39.95 commercially. We'll give you a voucher for $27. FULL version of Simple File Shredder! – Stop your deleted files from being recovered. Use this application to erase files and folders to US Government security levels - and beyond. Just click, and erase! FULL version of EULA Analyzer! – Precisely what are you agreeing to when you hastily install your programs? Keep an eye out for suspicious application EULAs, with the full version of EULA Analyzer. ... All of this is included when you purchase Anonymeister TODAY. Anonymeister is an anonymous Web browser that hides your IP address, and clears all traces of your Internet surfing – for TOTAL PRIVACY! Read about it's features, compare with other products, and view screenshots. 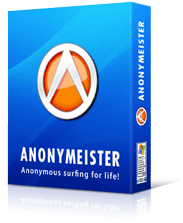 CLICK BELOW to buy Anonymeister TODAY - and get our PC Security Package, worth $29.95, absolutely FREE! Home | Features | Comparisons | Screenshots | Affiliates | Contact Us | BUY NOW!